Chinese home cooking recipe from my parents, Chinese duck potato, the duck legs are red cooked with potato using the pressure cooker. 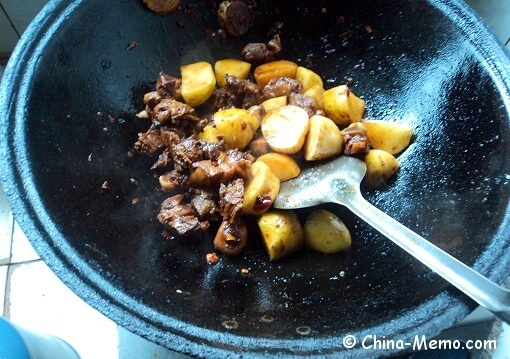 The duck meat is tender and full of rich flavour. Scroll down for cooking video. 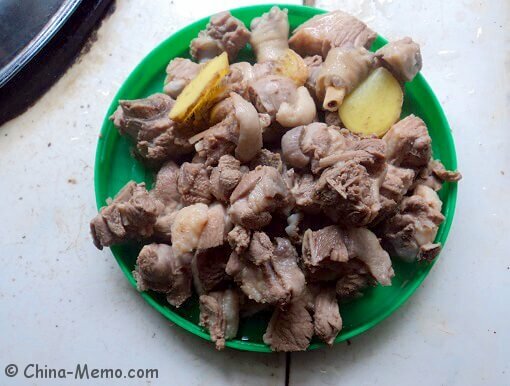 In China we usually eat pork more than beef or lamb, as least, this is true for the south where I was living. 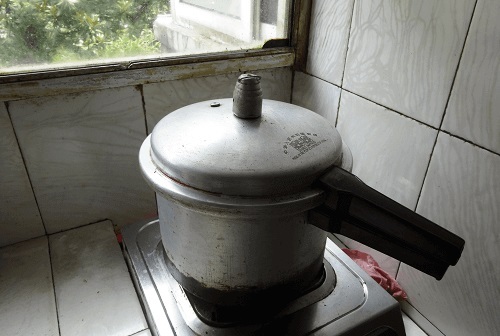 For the poultry, chicken and duck are very common in Chinese daily cooking. But my father prefers duck than chicken. Why? 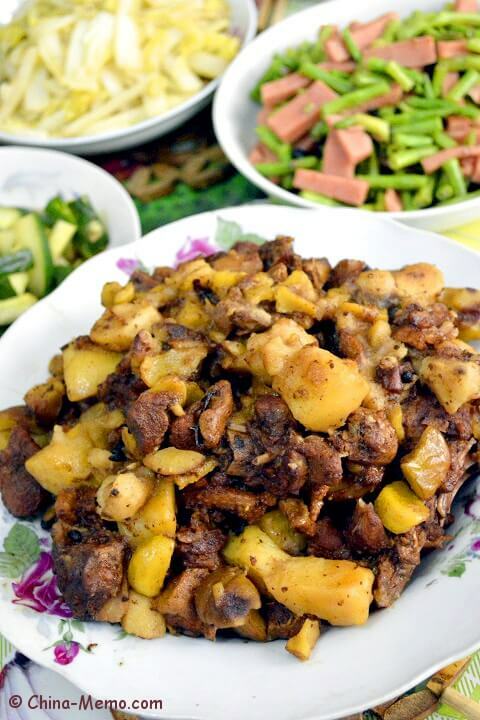 According to what my father says, duck is the “cooling” food, which is good for his health. 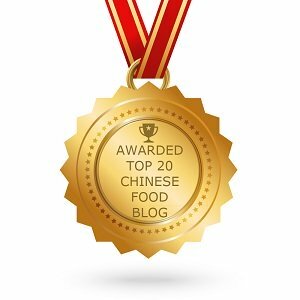 According to traditional Chinese food therapy, food items are classified as "heating" (re 熱; "hot") or "cooling" (liang 涼; "cool"). 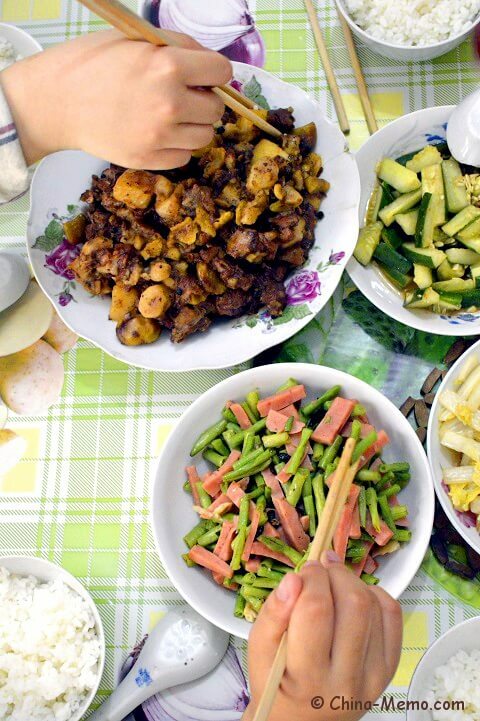 For example, the red meat, deep-fried food and spicy food are the “heating” food; green vegetables are cooling food. 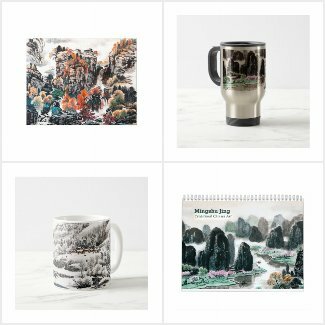 There are complex Chinese medicine theory behind and I don’t fully understand them, but I often hear my father talking about these. For example, a person under the “hot” conditions, such as sore throat, swollen gums, or constipation, should avoid the “heating” food. Some "cold" illnesses like excessive pallor, fatigue, chills and low body temperature may be treated by those “heating” food. Because my father has the problem of vasculitis (blood vessels inflammation), doctor suggests he to avoid the food with “heat”. That’s why my parents prefer duck than chicken. 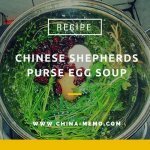 This Chinese home cooking recipe is from one of my parents’ daily cooking. For a simple version the duck legs are red cooked with potato. 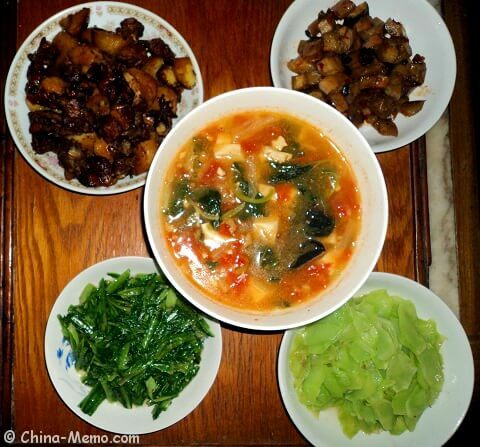 Sometimes they would make this dish with more ingredients, such as chestnuts, Huai Shan and Bai He. 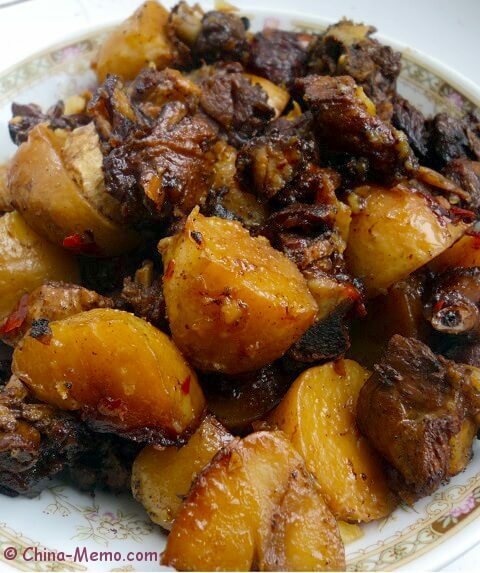 You may also check a similar recipe from my father, red cooked rib potato. 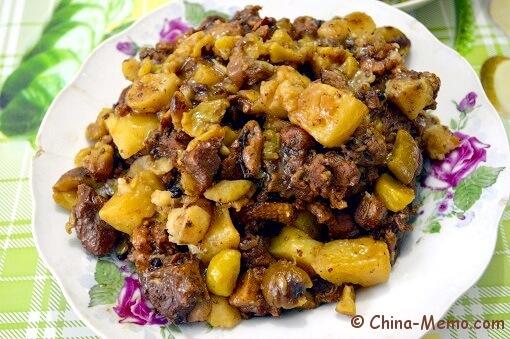 Here is the dish made with duck leg and potato, chestnuts, Huai Shan and Bai He. 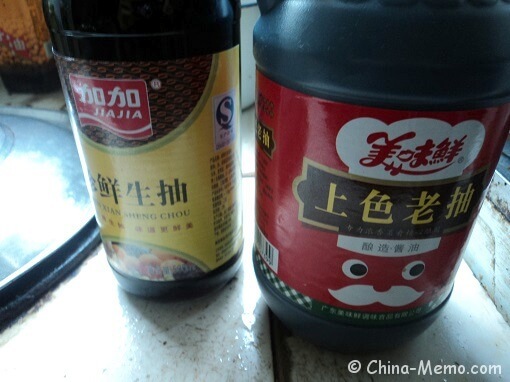 This is one of the ingredients called Huai Shan. 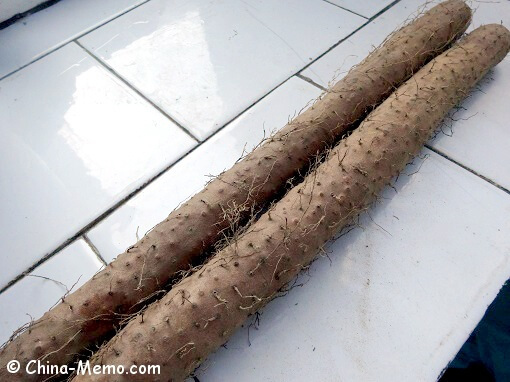 It not only can be used as cooking ingredient, but also used with other Chinese herbs as the medicine. 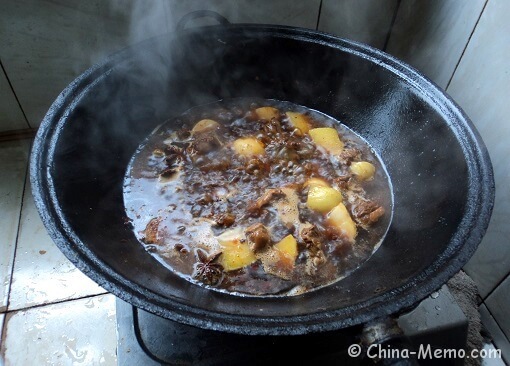 We usually use it for soup, but here we cook it with meat. 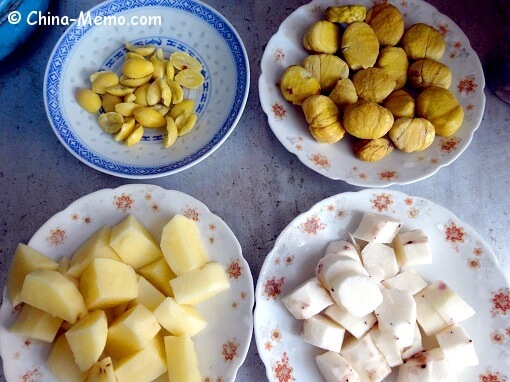 The texture is in between of potato and water chestnut. 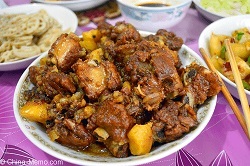 • Chop the whole duck legs into small chunks. (One whole leg includes the thigh and drumstick). Smack or slice the ginger. 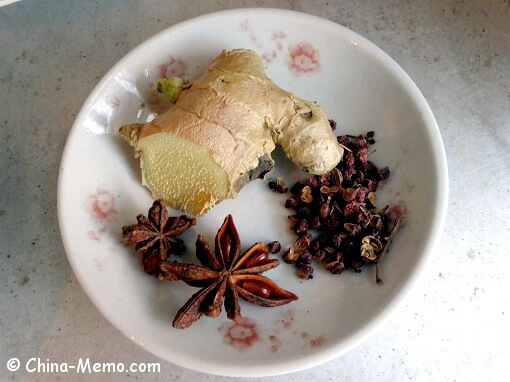 Ginger is used to remove the smell of duck. 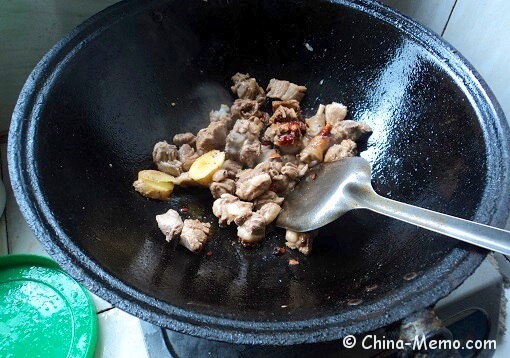 • Put duck and ginger in a wok or a sauce pan, add cold water. Bring the water to the boil. 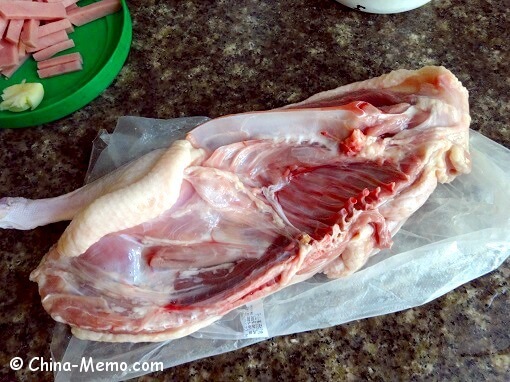 • Boil the meat for several minutes, remove the foam on top and take the meat out. Set aside. 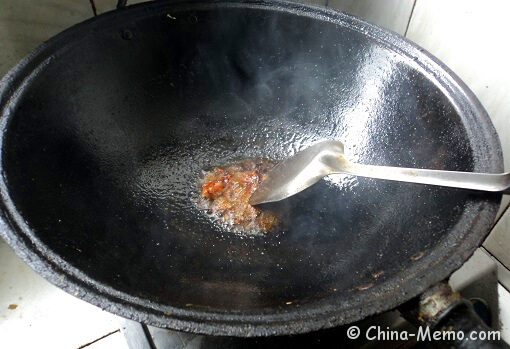 • Heat up the wok, add oil and wait till high heat. 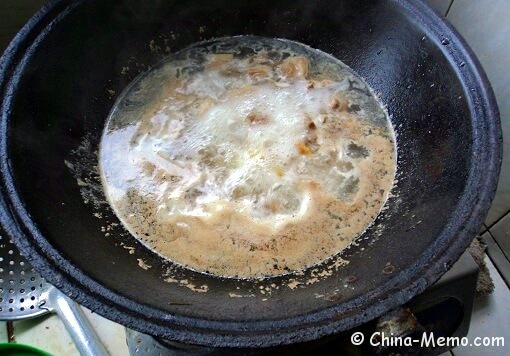 • Fry Chinese chilli bean paste first, for less than a minute, or till fragrant (if you use the electronic cooker, this may need longer). • Add duck to fry. 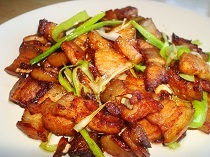 Use dark soy sauce to brown the meat, seasoning with light soy sauce. • Add potatoes. Fry till the duck and potatoes turn to brown and mix well with all ingredients. Adjust the taset as you prefer using salt and sugar. 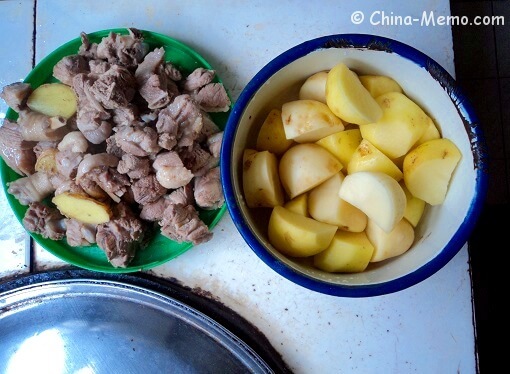 • Add the stock or water, almost cover the meat and potato. 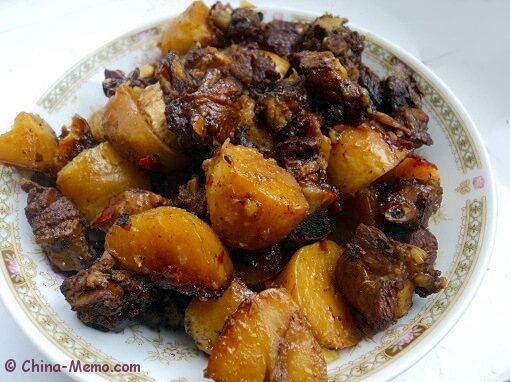 • Transfer the duck and potatoes to pressure cooker, cook for about 20-25 mins. Once cooked, take the duck and potato out. Serve hot. 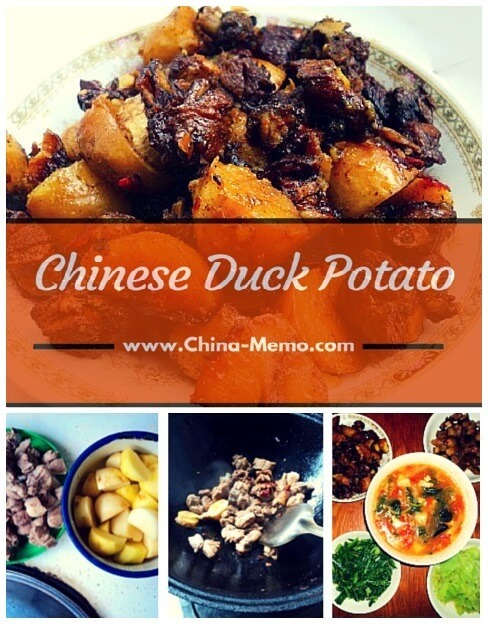 Hope you like this Chinese duck potato dish. If so, please click Like in Facebook or share with friends. You can watch the cooking video here, and subscribe to my Youtube channel to get the regular update.